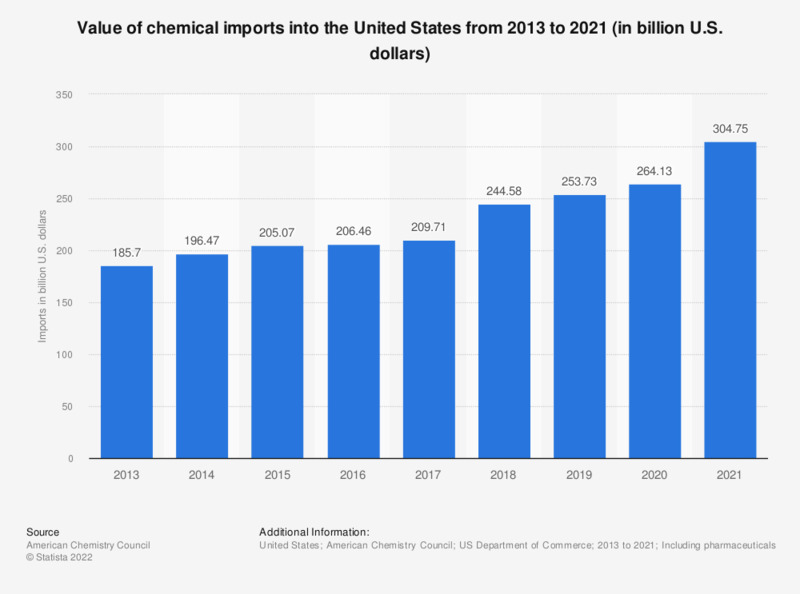 This statistic shows the value of the United States' chemical imports from 2013 to 2017. In 2013, chemical imports into the United States were worth some 100 billion U.S. dollars. By 2017, the total value stood at some 97 billion U.S. dollars. Figures have been restated in the 2018 edition of the report due to the fact that pharmaceutical data is no longer included in the figures.